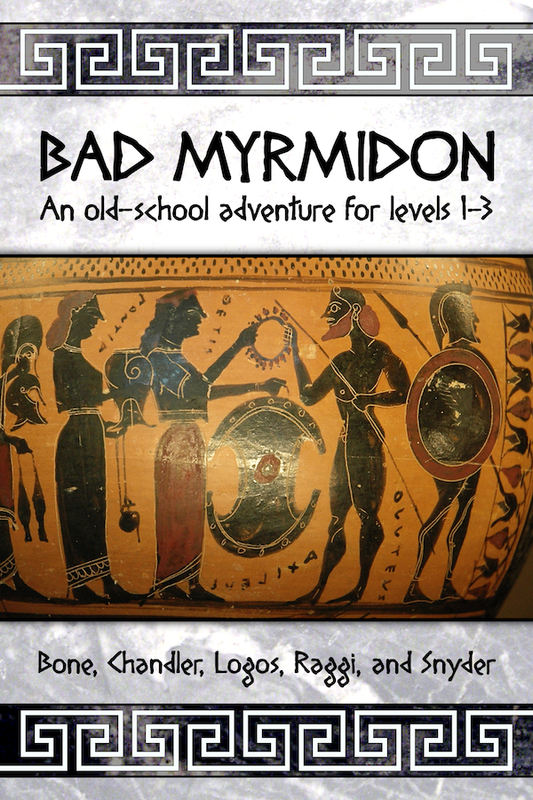 Bad Myrmidon is an old-school adventure to benefit Mandy Morbid. Originally, this book was pay-what-you-want, and the proceeds (over $1800) went directly to help Mandy fight her battle against Ehlers–Danlos syndrome. A bad Myrmidon, for a good cause! Now, over a year later, the adjventure is free. Enjoy! Which edition of D&D is this best played with? Dieses Produkt wurde am December 03, 2013 in unseren Katalog aufgenommen.